Italy possesses one fifth of the world’s artistic heritage, a concentration of wealth that no other country can boast. Of these riches, Tuscany preserves a good part. This blog has abundantly demonstrated that each Tuscan town, village or hamlet has its own treasure to cherish and display. 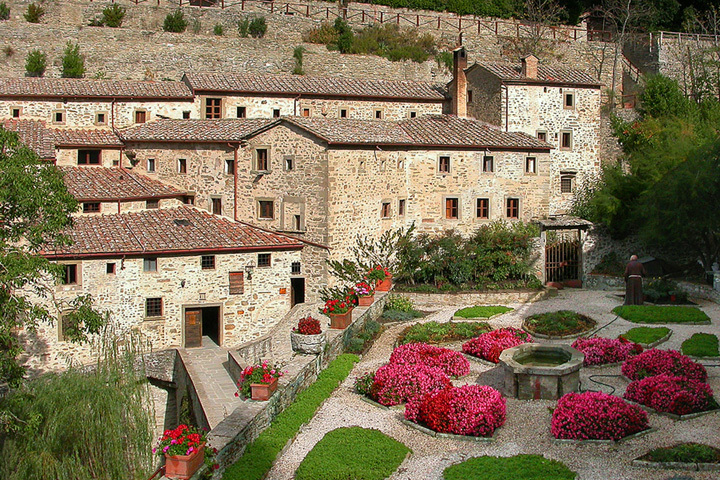 Among these the protagonist of our last food and wine trail of Tuscany, the twenty-second to be precise: the lovely hill town of Cortona, the main cultural and artistic centre of the Valdichiana, obviously after Arezzo. 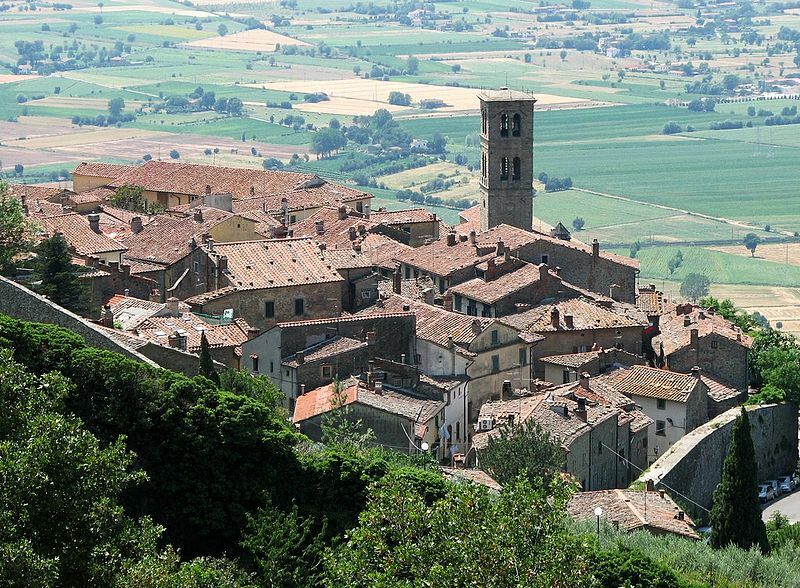 From a height of 500 meters, Cortona overlooks the magnificent landscape of Valdichiana, dotted with villas, farmhouses and vineyards, testimonies of the ancient history and excellence of its wines. Of ancient origins, part of the Etruscan league, mentioned by Greek and Latin writers such as Herodotus, Dionysius of Halicarnassus, Livy and Pliny the Elder, Cortona has always been a fascinating and fertile site, sitting stately over the Valdichiana. This itinerary is together a food, wine, cultural and touristic trail. Both an Etruscan and a medieval town, traces of both eras can be found everywhere, from the town walls and chamber-tombs, to the finds in the Etruscan Museum and the typically medieval steep narrow streets, together with masterpieces of Renaissance art. A casket of works of art signed by Fra Angelico, Luca Signorelli, Giuseppe Maria Crespi and the natives Pietro da Cortona and Gino Severini, Cortona also contains historical and architectural witnesses of St. Francis’ transit through town, with the striking and highly spiritual Franciscan Convent of Le Celle, the Church of San Francesco and the Basilica of Santa Margherita. The charm of the place lies not only in the monuments and the most important highlights, but also in the most unusual sights, of which the city is rich and ever new, together with the typical intense flavours of the countryside one can savour sitting at a table. Next to the vineyards with the precious Syrah grapes, there are (literary) fields of olive groves which in autumn release their precious green-golden juice. Even alone, on a slice of lightly toasted bread, this olive oil is a symphony to the palate. Or a slight trickle on one of the world’s most famous beefsteaks, because let us not forget that this is the valley of the ‘white giant’, the Chianina cattle. 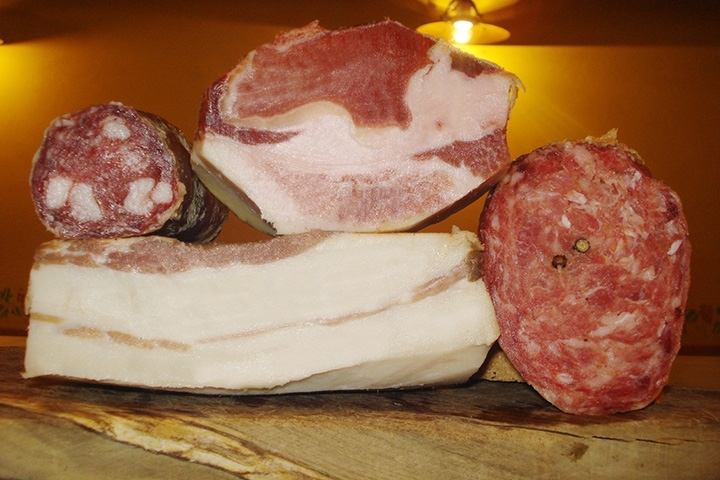 Here in Cortona, the Chianina is bred together with the Cinta senese pig, which is reared in a wild state and the cold cuts produced from it are wickedly delicious. 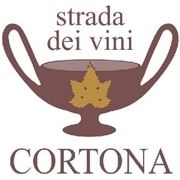 The Cortona Wine Trail is a bridge that goes from the traditional resources of the earth to the cultural paths of art, with a will to protect and safeguard the image and prestige of this magnificent land. Questa voce è stata pubblicata in Culture and accommodations in Tuscany, Tuscan food and wine, Tuscan lifestyle e contrassegnata con Cortona, Tuscan food and wine, Tuscan lifestyle, Valdichiana. Contrassegna il permalink.